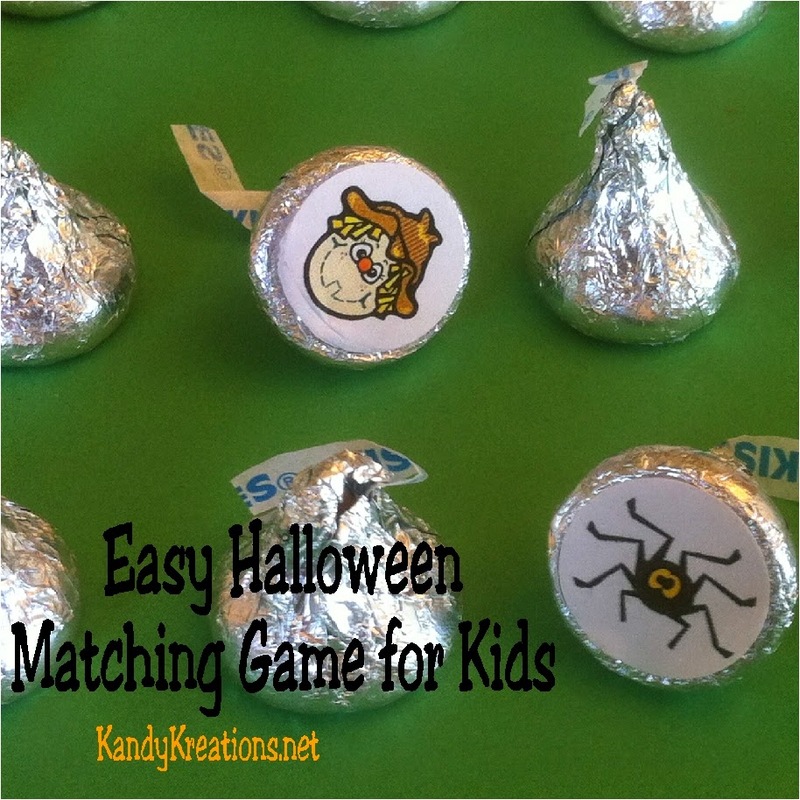 Have some fun with your kids this Halloween with this easy Halloween memory matching game for kids. It's so easy to create this game using our free printable, a whole punch, and a bag of Hershey kisses. You'll kids will gain a Halloween Memory that will have them smiling long past when the candy is eaten. 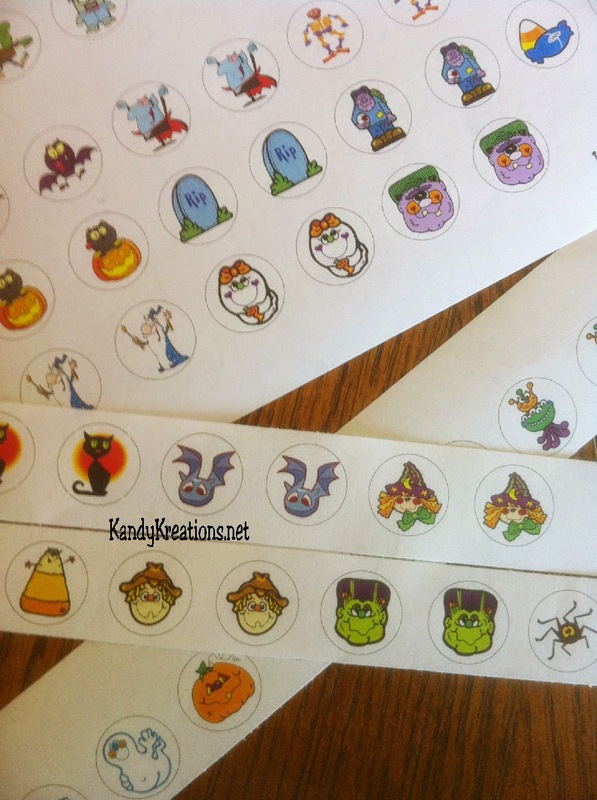 After having so much fun with our Halloween Dominoes last year, I decided to create another fun Halloween game for Mini Me and I to play this year. We put our heads together and together we came up with a Memory Matching game for kids to play. It's super fun and sweet because you get to make memories with your kids AND enjoy a little bit of chocolate at the same time. The stickers are designed so you can just pick up a small dollar bag from Dollar Tree. (My bag had 22 kisses in it.) You can print off just the first section of kisses for a simple game, or all three sections (with three bags needed) for a harder game or anywhere in between. 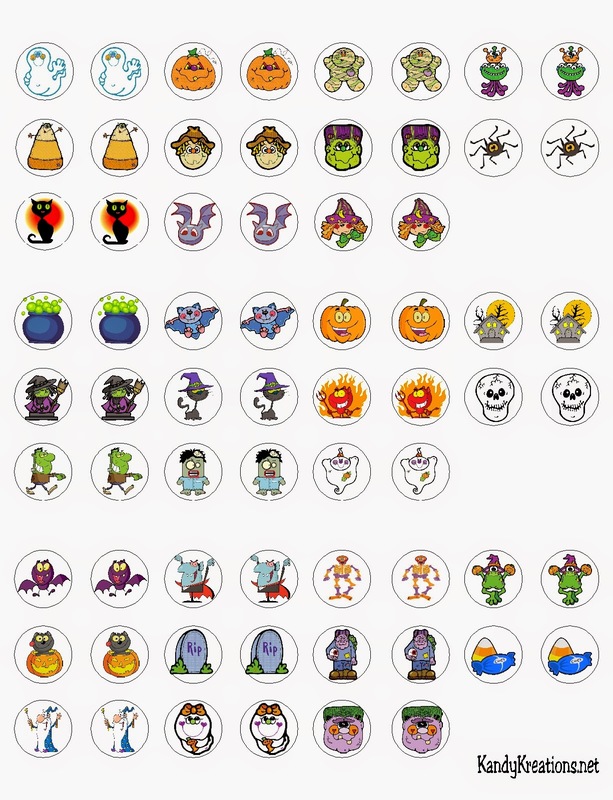 To make this easy Halloween memory, simply print off the kiss labels at the bottom of the page. Cut the labels into strips to allow your hole punch to access each label easier. 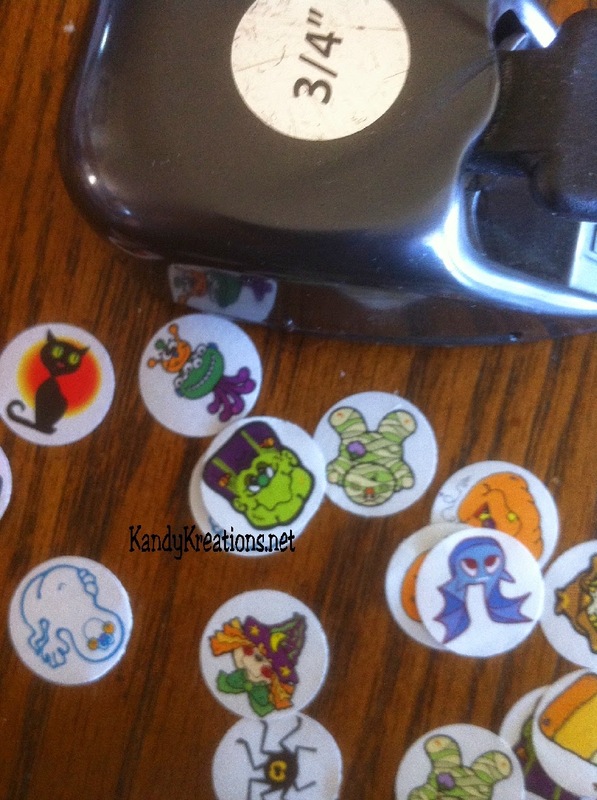 Cut out your labels using a 3/4 Inch Circle Punch *. 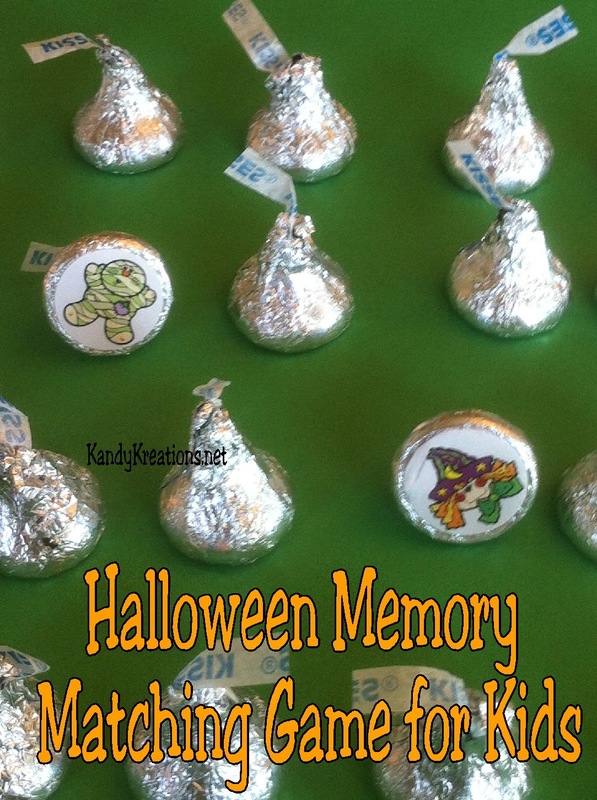 Place a little bit of glue on the bottom of a Hershey kiss and attach the label to the bottom of the candy. To play the game, line the kisses up in rows with the labels facing down. Each player takes a turn to pick two kisses. The player turns over the kisses to see if the labels match. If they do, the player can keep the kisses. If they don't, the player turns them back over and play moves to the next person. Keep playing until all the kisses have been claimed or eaten! I hope you enjoy this game. If you play, will you leave me a comment letting me know how it goes? Thanks! I love to hear how my projects turn out for each of you. Have fun!